Jamie Goode is one of my favorite writers about the science of wine attributable to his knack of explaining complicated subjects in a simple to understand manner. That said, there will not be a vast number of people interested in reading 220 pages about the chemical senses, wine flavor chemistry, flavor perception, and approaches to wine tasting. As one who tastes wine frequently, however, I found the book enthralling and will put it close at hand for future reference. 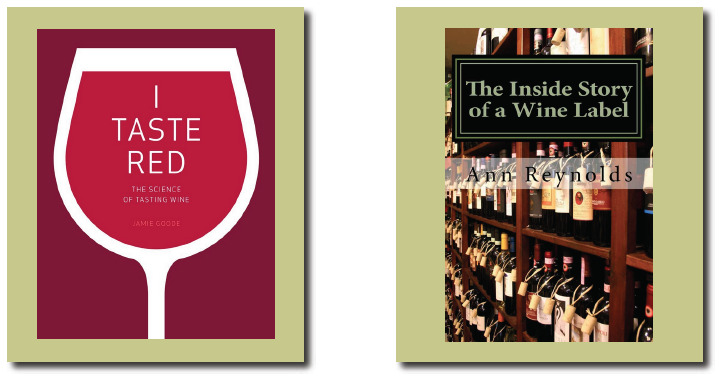 Goode does not have all the answers to the questions he raises, but he is able to offer educated arguments that can give the reader valuable insight into the wine tasting process. I gobbled up the book in two days, and that should be a valuable recommendation for those inquisitive about reading this book. An example of the many subjects covered by Reynolds is the confusing terminology commonplace on back labels such as "blended," "cellared," "prepared", "produced," or "vinted" followed by “and bottled by.” Although important in making an informed wine purchase, few consumers understand what these phrases actually mean. You can breeze through this book in an hour or two and be entertained as well by favorite personal stories of the author from years of interacting with all the behind the scenes activities that lead up to a label being placed on a bottle of wine. This is another reference that I plan to keep close at hand.